Directed by Tim Burton. With Michael Keaton, Danny DeVito, Michelle Pfeiffer, Christopher Walken. 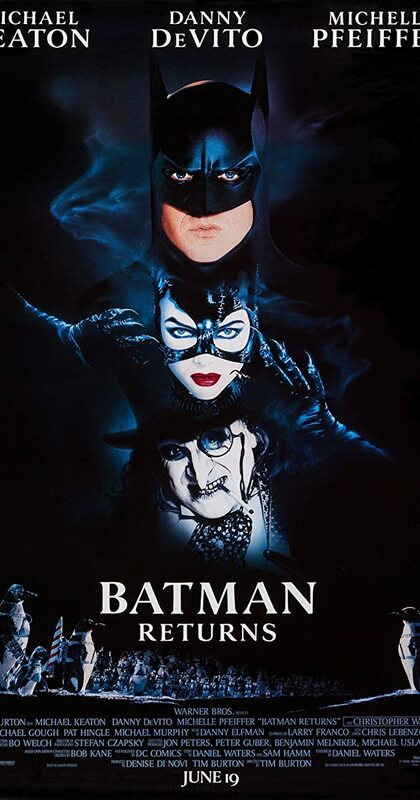 When a corrupt businessman and the grotesque Penguin plot to take control of Gotham City, only Batman can stop them, while the Catwoman has her own agenda.